PA Chairman Mahmoud Abbas meets Quartet representative Tony Blair, called to support the PA financially. Palestinian Authority Chairman Mahmoud Abbas received Quartet representative Tony Blair in Ramallah on Tuesday and called to support the PA financially. The PA-based WAFA news agency reported that Abbas briefed Blair on the latest political developments and the dilemma the peace process is facing, due to what he termed the Israeli government’s intransigence and refusal to abide by the international law. 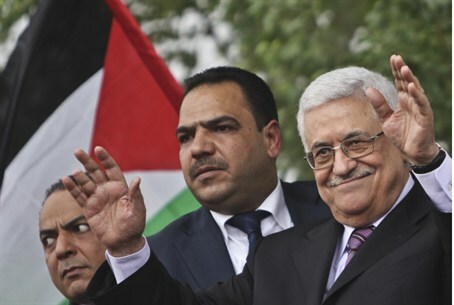 The report said that Abbas insisted on the importance of providing financial support to PA, especially during the critical financial situation it is going through. A recent World Bank report said that the economic growth in the PA is unsustainable because of its heavy reliance on foreign aid. The report said the PA had begun establishing institutions for a future state, but the economy was not strong enough to support it. Meanwhile, a report on Kol Yisrael radio on Tuesday said that Abbas visited Shechem and reiterated that the PA intends to ask the UN General Assembly for recognition as a state. Saeb Erekat, a member of the Fatah’s Central Committee and the Palestinian Authority’s chief negotiator, said last week that the Arab ministerial council will discuss the PA's next bid to the United Nations for recognition as a state on September 5.